This flawless TV mount above the fireplace demands attention. 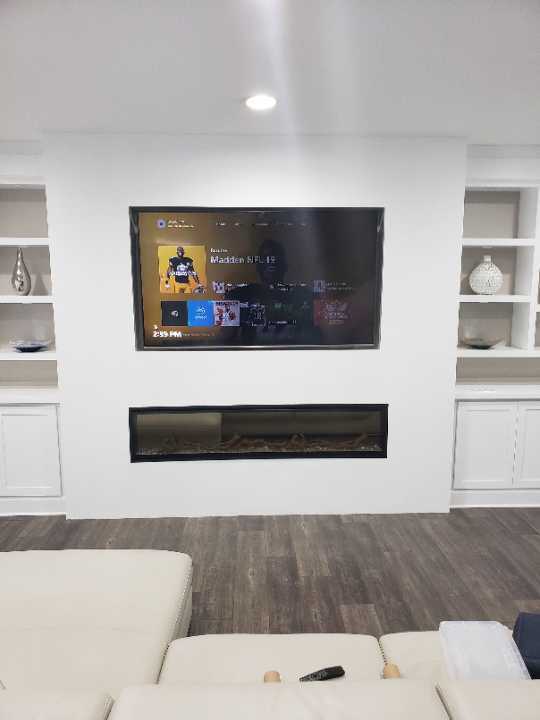 The TV is centered and wires are concealed, for a clean elegant finish. 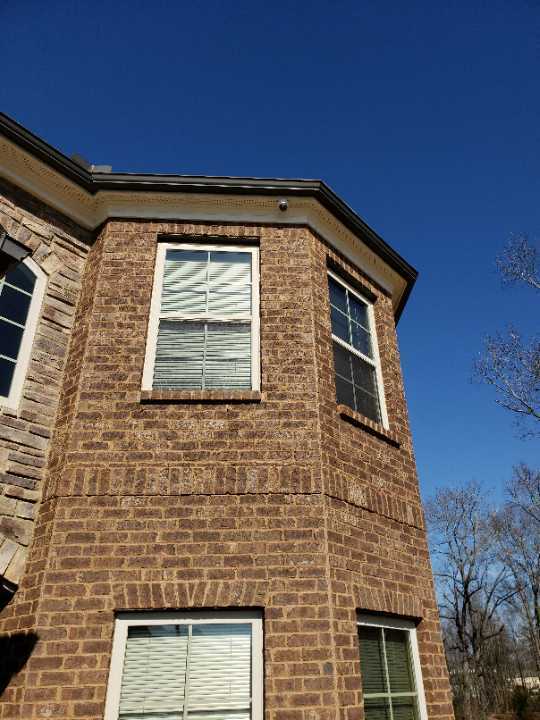 This beautiful two-story home is secured with a Mounted-UP Security System that allows you to view your home conveniently with your mobile device. 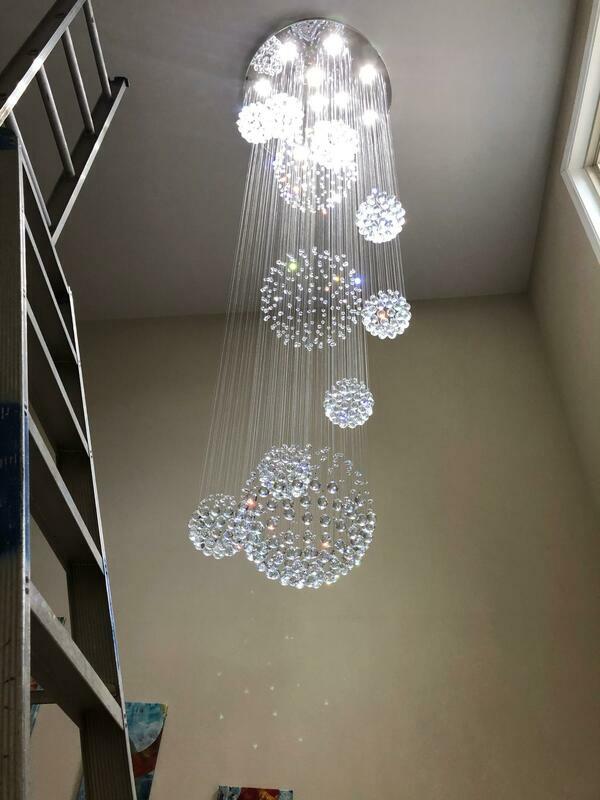 This flawless raindrop, crystal chandelier is perfectly mounted and centered in the family room, to effortlessly elevate this interior space.